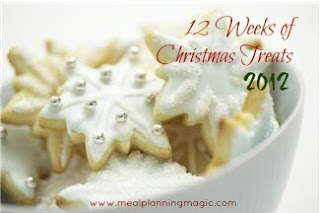 I am LOVING this 12 Weeks of Christmas Treats challenge. As always, I'd like to thank Brenda for hosting this incredible series! This week I was short on time so needed something quick and easy. I found a recipe that seemed like the perfect solution. No cooking? Check. Adorable? Check. Tasty? Check. See, I told you they were adorable. 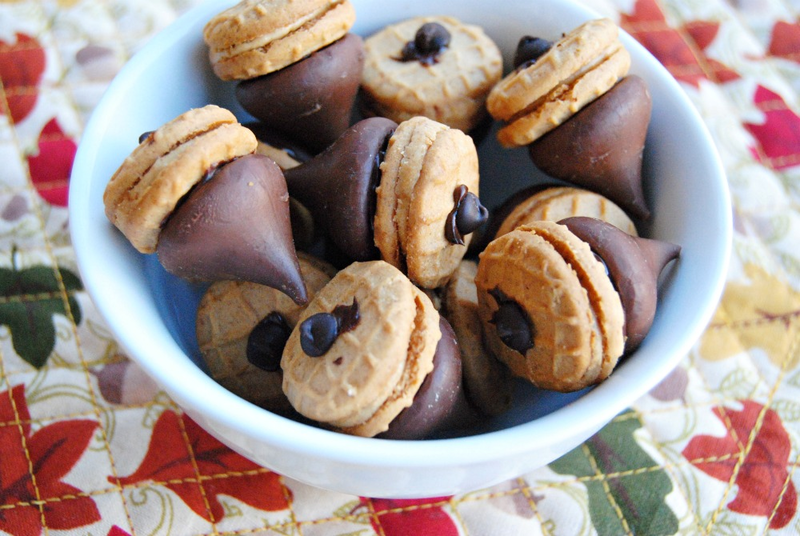 In a microwave, melt 1/2 cup chocolate chips; stir until smooth. Spread the flat side of each kiss with a small amount of melted chocolate; immediately attach each to a cookie. Place a tiny dollop of melted chocolate on the top of the acorn and immediately attach a mini chocolate chip to make a stem. Refrigerate until set. Store in an airtight container. These are absolutely adorable! I love simple things like this as an addition to a holiday dessert table! So stinking cute!!!!! 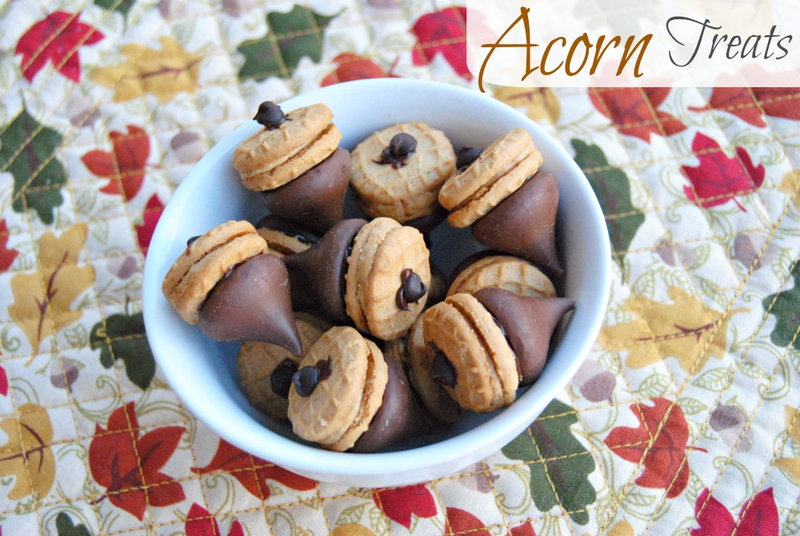 I could munch on these acorns all day! Newest follower here! 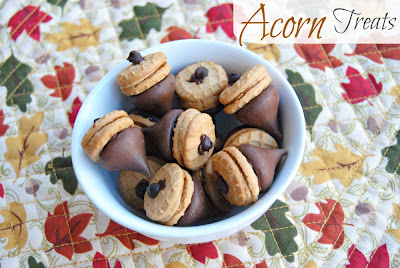 I found you through the Saturday blog hop :) Those acorns look amazing, I can't wait to try them! such a tiny cute treat! Thanks so much for linking up on super Sweet Saturday. ADORABLE! Love these! Thanks for sharing this on Saturday Show & Tell on Cheerios and Lattes this week! We love having you join us! Have a great week! These are so sweet! Both in taste and appearance! Definitely trying these! These are beautiful and very cute treats! Hi Desi, I’m Anne from Life on the Funny Farm (http://annesfunnyfarm.blogspot.com), and I’m visiting from Clever Chicks. Aaah, I think I saw these on Pinterest, and they are the cutest things EVER! Also love your sign-off line: Peace and bacon grease. Thanks for making me smile! 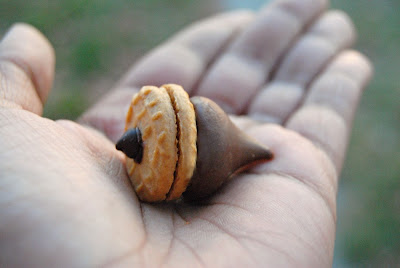 Love the acorn treats, so cute! Definitely adorbs, Desi! I see a project in my future. 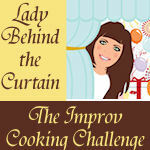 Thank you for linking up with See Ya In the Gumbo. What a cute little snack those acorns are. Thank you for sharing the idea. These are so cute! Thanks for linking up at Creative Me this week! Be sure to come by and sign up for the newsletter! :) Have a blessed week! I've seen these on Pinterest, and thought they were super cute, too. So glad they turned out great for you! 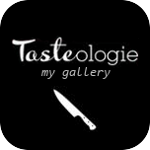 Thanks for sharing at Must Try Monday. These are SO cute! You are a Featured Favorite this week on Saturday Show & Tell on Cheerios and Lattes! We love having you join us and can't wait to see you this weekend! Oh,my word! These are adorable! 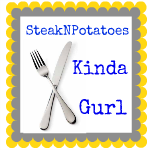 I am your newest follower. I hope you'll visit Posed Perfection soon and maybe even follow me back. Have a wonderful weekend!